Part memoir, nutritional primer, and political manifesto, this controversial examination exposes the destructive history of agriculturecausing the devastation of prairies and forests, driving countless species extinct, altering the climate, and destroying the topsoiland asserts that, in order to save the planet, food must come from within living communities. In order for this to happen, the argument champions eating locally and sustainably and encourages those with the resources to grow their own food. Further examining the question of what to eat from the perspective of both human and environmental health, the account goes beyond health choices and discusses potential moral issues from eatingor not eatinganimals. 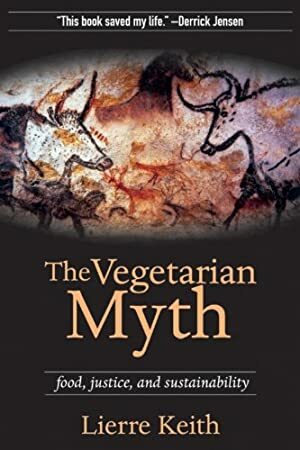 Through the deeply personal narrative of someone who practiced veganism for 20 years, this unique exploration also discusses alternatives to industrial farming, reveals the risks of a vegan diet, and explains why animals belong on ecologically sound farms. Track It. This book has been $7.49 within the past year. Log In to track Lierre Keith on eReaderIQ. to be notified each time the price drops on any book by Lierre Keith. to stop tracking Lierre Keith. We started tracking this book on September 16, 2012. The price of this book has changed 51 times in the past 2,412 days. The current price of this book is $10.49 last checked one day ago. This lowest price this book has been offered at in the past year is $7.49. The lowest price to date was $1.99 last reached on June 13, 2014. The highest price to date was $10.49 last reached on February 1, 2019. This book has been $10.49 14 times since we started tracking it. We last verified the price of this book about one day ago. At that time, the price was $10.49. This price is subject to change. The price displayed on the Amazon.com website at the time of purchase is the price you will pay for this book. Please confirm the price before making any purchases.